Okay, I know planning comes before packing, but the post on planning will take me some hours to write – so will have to wait till next time. Packing can be a bit of a fine art. 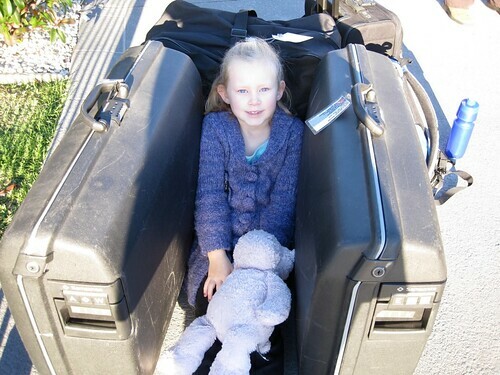 You’ll find lots of packing lists online and in travel books but really it’s a personal thing. For nearly every trip I pack 4 days worth of clothes for each person as I am prepared to do washing every 4 days. When the girls were younger – and tended to get dirtier – I’d pack another couple days of clothes for them. The biggest thing about packing is working out what you’ll need for that particular holiday. If we’re traveling by car I’ll tend to be a bit more generous with what I pack but when we travel overseas I pack carefully with lots of mix and match clothes. When packing you obviously need to take into account the weather you’ll experience. When we travelled to Western Australia last year we had to take clothes for the hot weather in Broome and warm clothes for cold weather in Perth – which means more clothes! But I still stick to the 4 day rule. 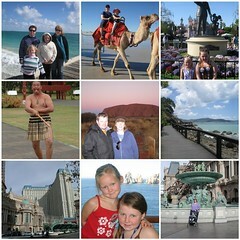 For our upcoming trip to Britain it will be Summer but a much cooler Summer than we get here in Australia. We will also get some very cold days during our 6 week trip. My strategy, on top of clothes for 4 days, is going to be layering. I know we’ll be buying quite a few souvenirs so I want to have lots of empty luggage when we set off. I pack each persons underwear, socks, PJs and swimsuit in a plastic travel bag (can just use a large zip lock bag). You also need a toiletry bag – I pack small bottles for a weekend away and larger ones for longer trips – but only taking slightly more than I think I’ll need. If mulitple member of the family use the same product – pack just one. Since we’ll be sharing bathrooms on this upcoming trip I’m thinking of packing one main toilet bag – probably a hanging type thing – then maybe a smaller bag for things only each of us use – like my makeup. When it comes to suitcases I recommend buying the best you can afford, especially if you travel often. Back in our newly married days we bought soft sided bags that would be wrecked and worn within a few years. 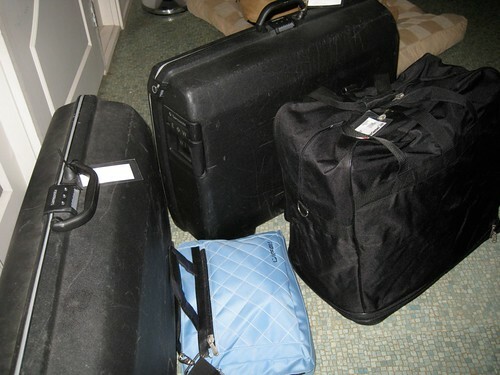 After one trip to the USA – where we had WAY too many bags – we decided to invest in Samsonite hard sided cases – one for each of us – plus two small roll-ons for the plane. We’ve since worked out we usually still need an extra bag coming home so pack a large soft-sided bag in one of the suitcases to use when needed. Remember that every trip is different and the further away from shops the more careful you’ll need to be. 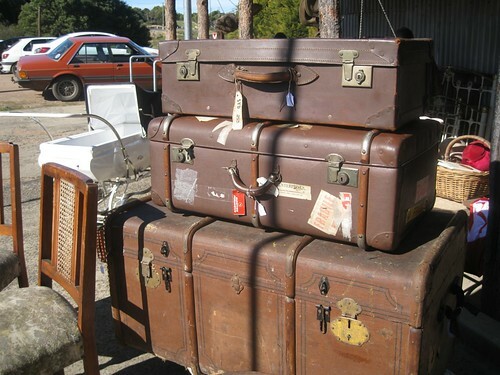 Prepare a list, check it twice and try to travel as lightly as you can – unless you don’t plan to buy any souvenirs :-).